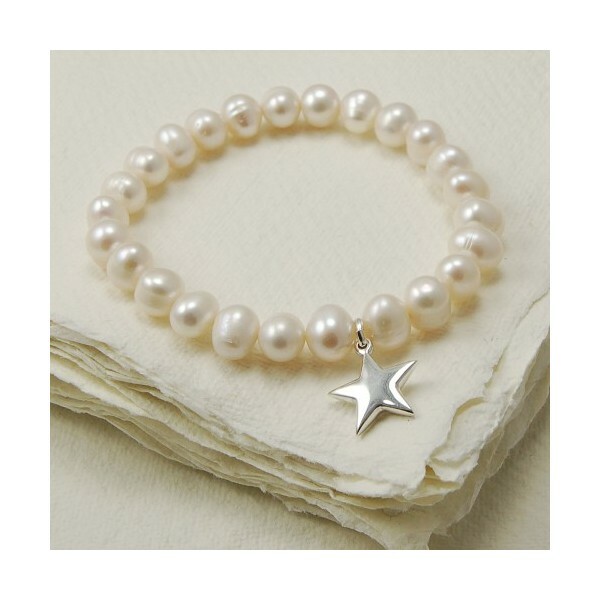 Freshwater bracelet with a sterling silver star charm, Threaded onto elastic for ease of getting the bracelet on and off. beautiful present, or ideal as wedding jewellery. 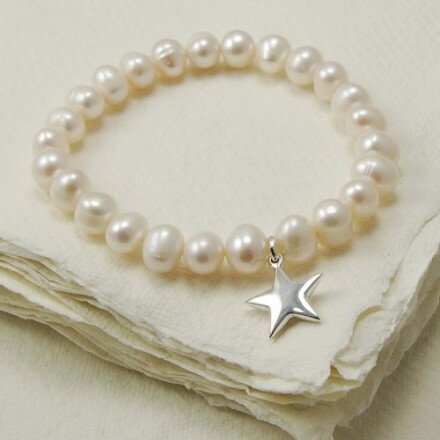 Pearls are approximately 7mm in diameter, the star charm is approxiamtely 16mm in diameter. Due to the nature of the freshwater pearls they are nearly round. Bracelet length is approximately 20cm. Beautiful item to wear alone or with other bracelets for dramatic effect.